This post is sponsored by Oliving by Hans and Marmot Inc.
How often do you buy lunch at work? Once a week? On pay day? Whenever you forget to bring your lunch from home? It’s no secret that it’s cheaper to bring your lunch from home. You might have leftovers from last night’s curry or make a delish sandwich to chomp on. You’re also more likely to eat healthier if you bring your lunch from home. You avoid all those (and I freely admit: delicious) fatty foods that are on the menu and bain marie of each and every food court. What usually holds me back from taking my own lunch to work is my inability to get my act together before I leave in the morning. I’ve learned over the years that if I prepare a yummy lunch in the office kitchen then I have no need to go out and buy a food court lunch. In this post, I’m showing you one of my favourite lunches to pull together at work. Bacon and scrambled eggs! The recipe features bacon from a new range of deli meats from Hans. It’s called Oliving by Hans, inspired by the Mediterranean diet and is different to other deli meats on the shelves because some of the saturated fat is replaced by olive oil. The meat is actually sourced from Greece, from the only company in the world to produce deli meats with extra virgin olive oil. Hans let me try quite a few of the hams, salami and frankfurts that are part of Oliving by Hans range and they’re all worthy of a work lunch stash. You could make salads, sandwiches, hot dogs (for Fridays, of course), or even grab some pita bread and make some mini pizzas! 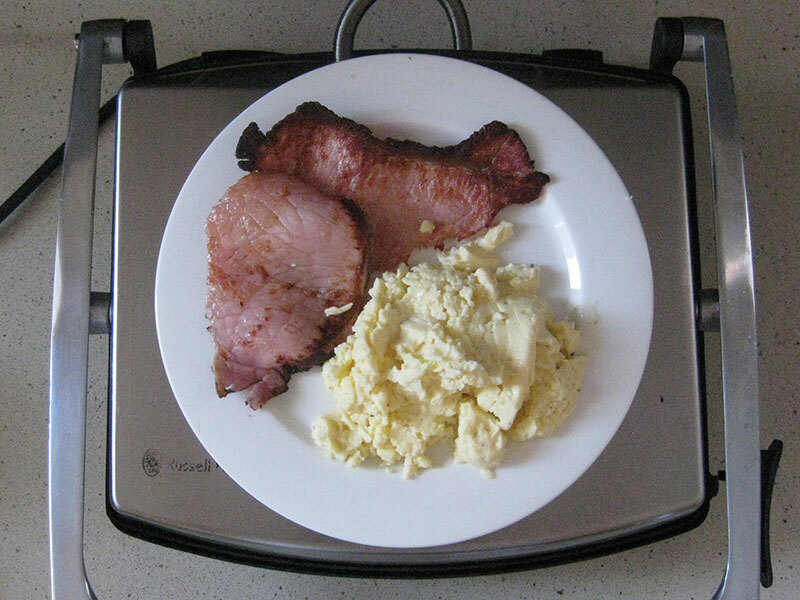 I’m no YouTube celebrity chef, but today I’m sharing my bacon and egg recipe. Because bacon is AMAZING. Pre-heat the sandwich press. While the press is warming up, combine eggs, milk and salt and pepper in a microwave safe shaker. Microwave in 20-second bursts and shake in between each burst to break up the cooked egg. When the press is ready, cook 2 pieces of bacon for about 2 minutes. Brace yourself for hungry workmates smelling the wafts of the amazing bacon down the corridor and running into the kitchen to ask if they can have some. Plate up, eat, make everyone around you jealous at your culinary genius! Oliving by Hans products will be available in the deli and dairy section of Woolworths, Coles and IGA by the end of October. To celebrate, well, let’s face it, BACON, I have 2 $60 Coles vouchers to give away. Competition is now closed – congrats to the lucky winners, Nicole from WA and Kaylie from NSW! All you need to do to enter is comment below telling me the worst thing you’ve eaten at your desk. The 2 most creative (read: gross) entries will receive a $60 Coles voucher. Because you deserve better than to have a lunch that belongs on Sad Desk Lunch! The winners will be chosen by Smarter Admins for having the most “creative” answer to the question “What’s the worst thing you’ve eaten at your desk”? The winner will be contacted by email. 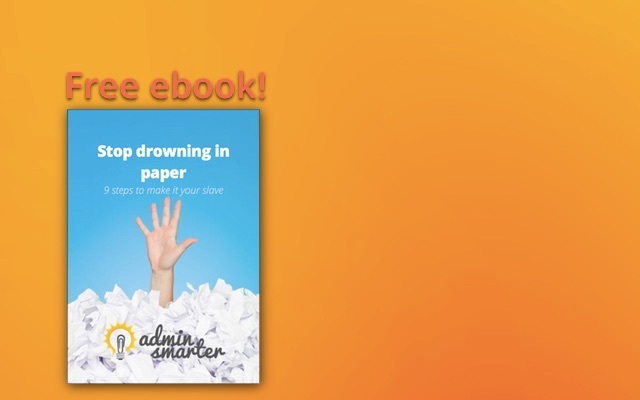 If a winner does not reply within 48 hours, Smarter Admins reserves the right to select another winner. The prize will be sent directly to the winner by Hans. It’s 7am and that bacon is calling me! Yesterday’s lunch. Somedays I’m just too busy to even eat so my packed lunch is all for nothing! Bacon in a sandwich press? Whyyyy did I not think of that before???!! Joy, it’s hands-down amazing! It’s the only way we cook bacon now. It’s fast AND delicious!